Aishwarya Le Royal, one of the most exclusive yet economic hotel you can opt for with a budget that easily fits your pocket. We offer you multiple facilities designed such as to ensure your stay is a memorable one and you have the best time with us. 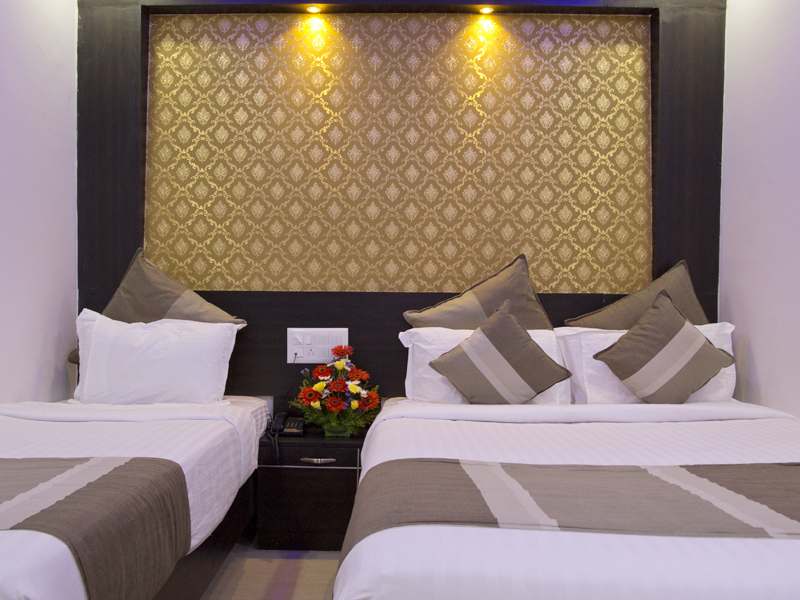 We strive to achieve excellence by providing all the basic amenities required by travelers, at economic price. 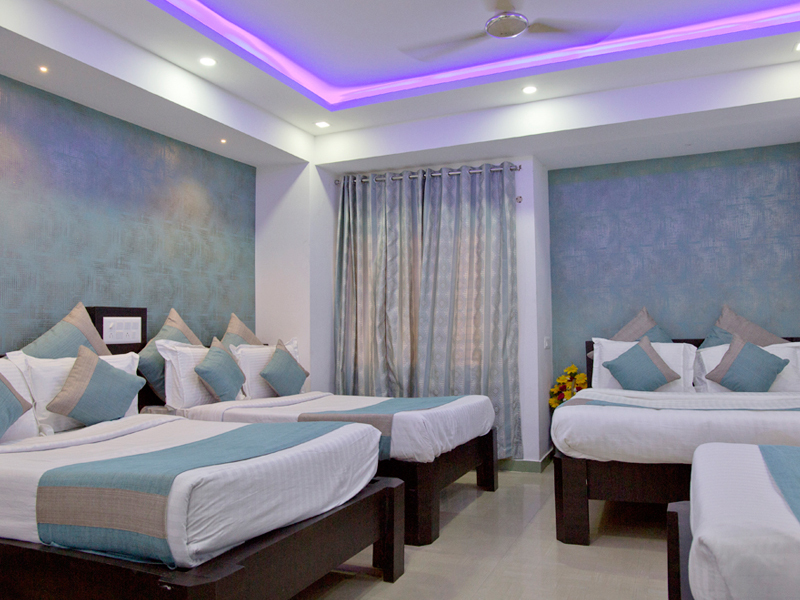 We have a wide range of selections of rooms from which you can choose the right one for yourself. 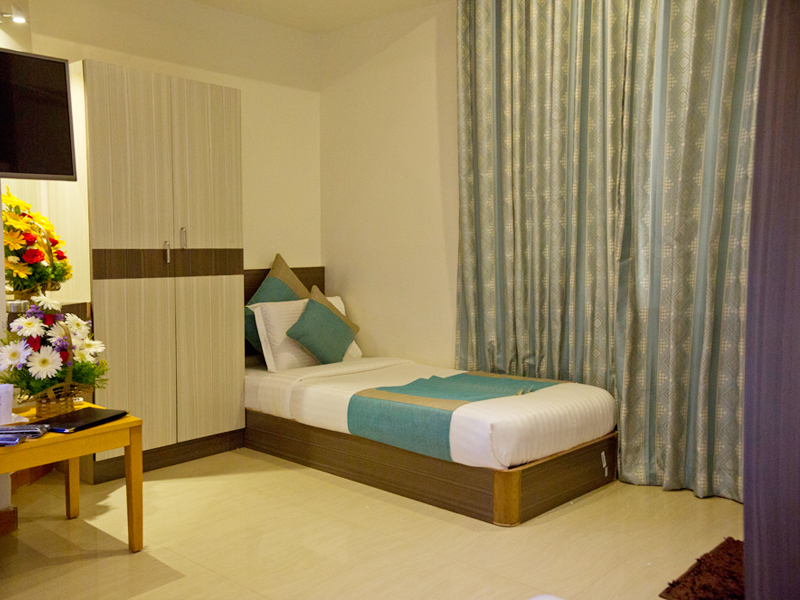 All our rooms are strategically designed to fit into your requirements. 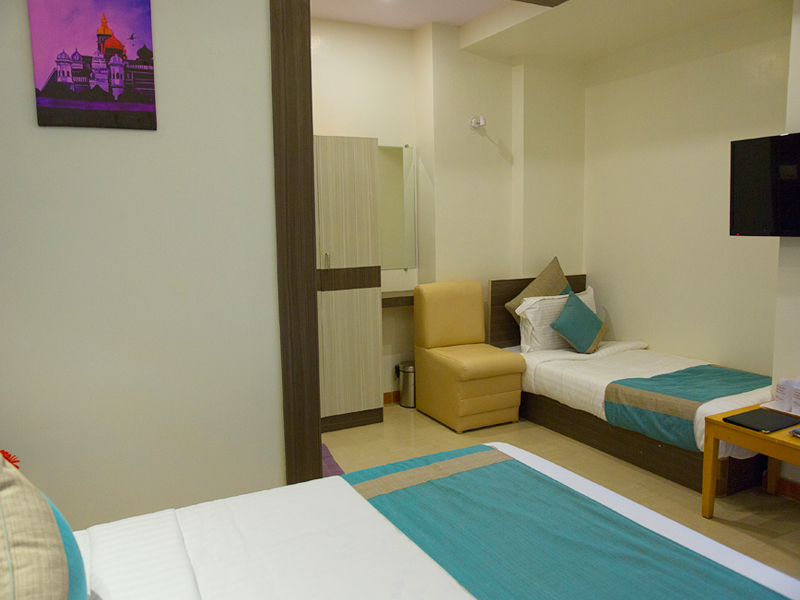 The rooms are well-arranged, sparkling clean, and come with a range of great amenities and services. We are known for providing brilliant hospitality to our guests. 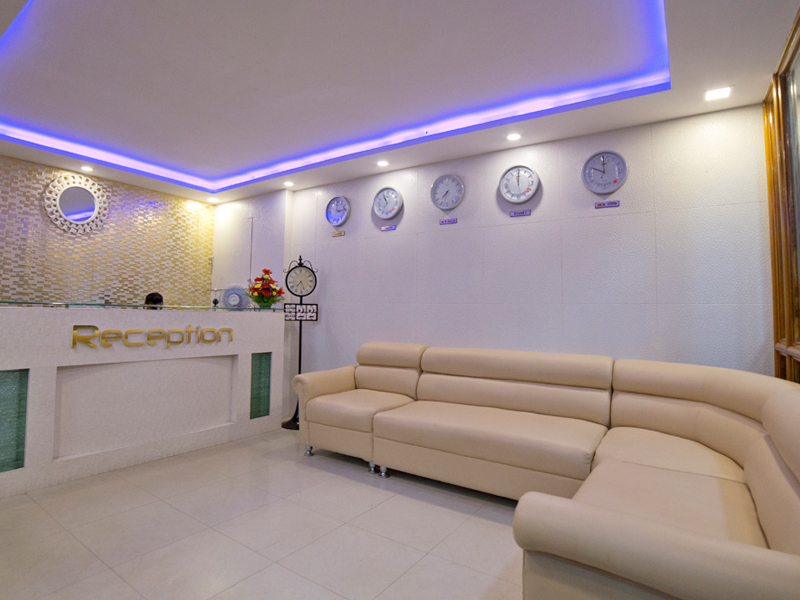 Our motto is to provide qualitative services for both business and leisure travelers in the city. Our staff is dedicated to bring you the best facilities and services and try to ensure the highest level of customer satisfaction. Our customer service is always ready to listen to your needs and sort them in the best possible way. So book your stay with us and leave with a handful of great memories. 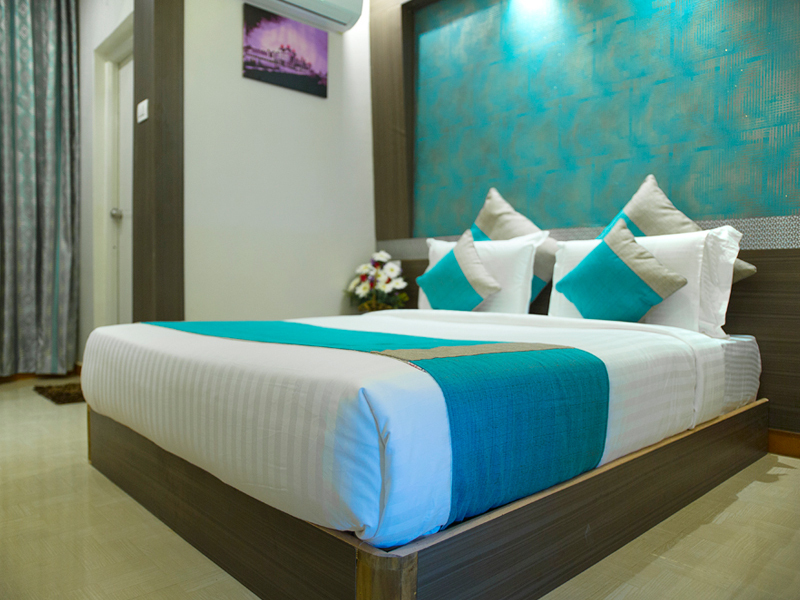 An air conditioned premium quality bed room with a double bed (Queen bed). Ideal for 2 people and a kid below 5 years of age. Contemporary facilities offered to our guests include a high speed Wi Fi, LCD television, writing desk, telephone connection and 24 hour room service. 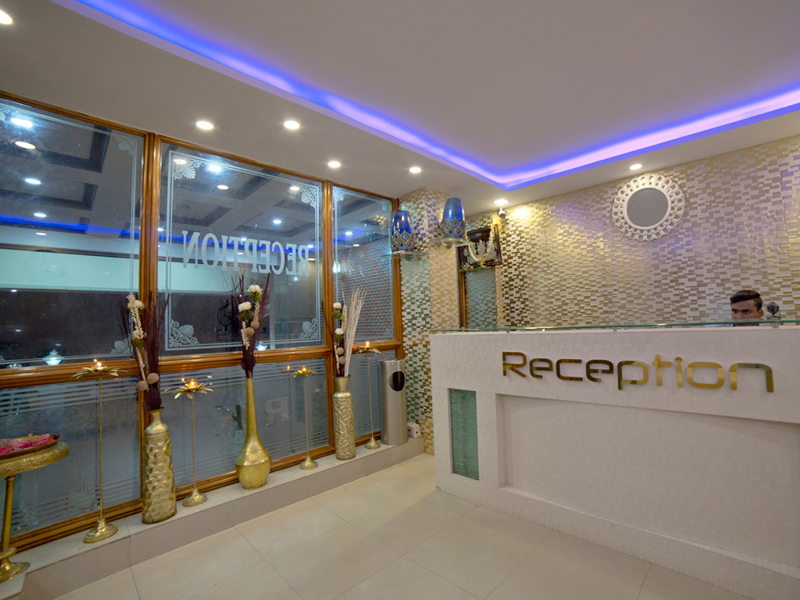 Our guests can also enjoy some exceptional facilities like currency exchange, concierge, single lady traveller room, Wi Fi connectivity, and a travel desk. 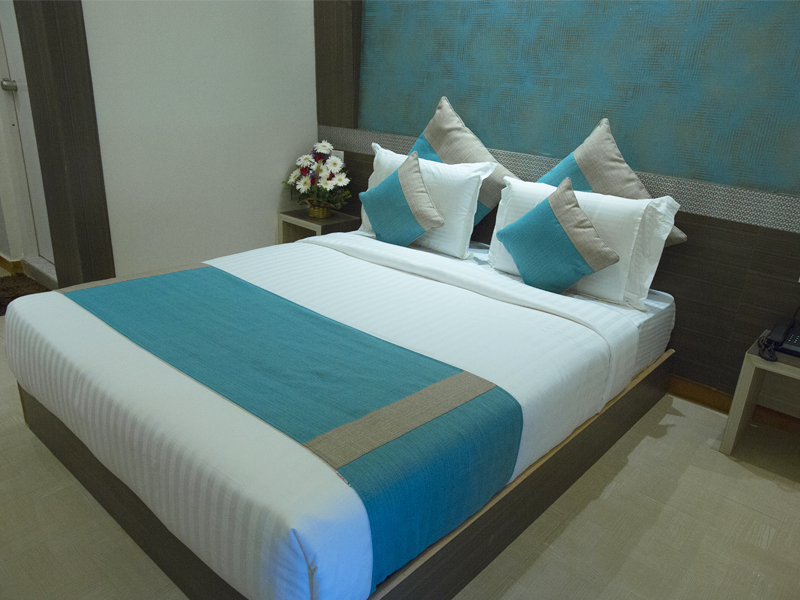 Double Occupancy: A deluxe bed room with a double bed (Queen bed). Ideal for 2 people and a kid below 5 years of age. Contemporary facilities offered to our guests include a high speed Wi Fi, LCD television, writing desk, telephone connection and 24 hour room service. 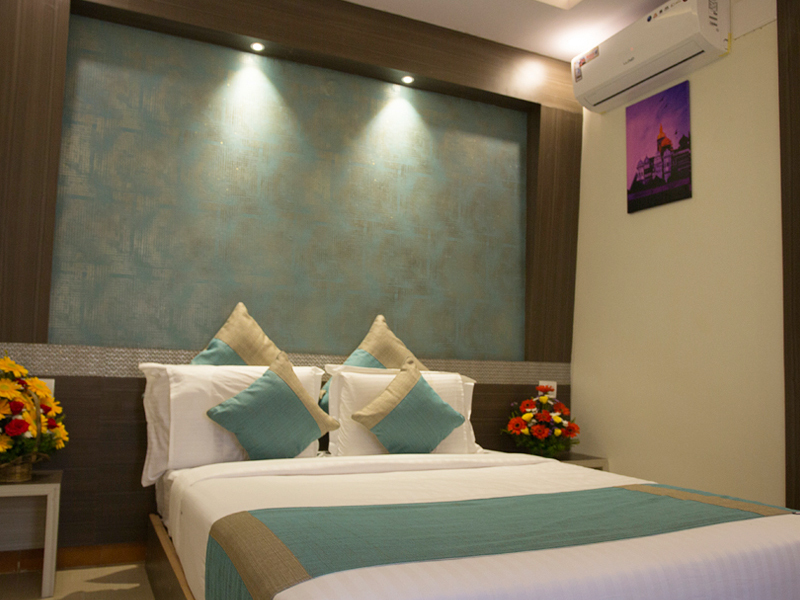 Our guests can also enjoy some exceptional facilities like currency exchange, concierge, single lady traveller room, Wi Fi connectivity, and a travel desk. A premium quality bed room with a private balcony. Ideal for 4 people and a kid below 5 years of age. 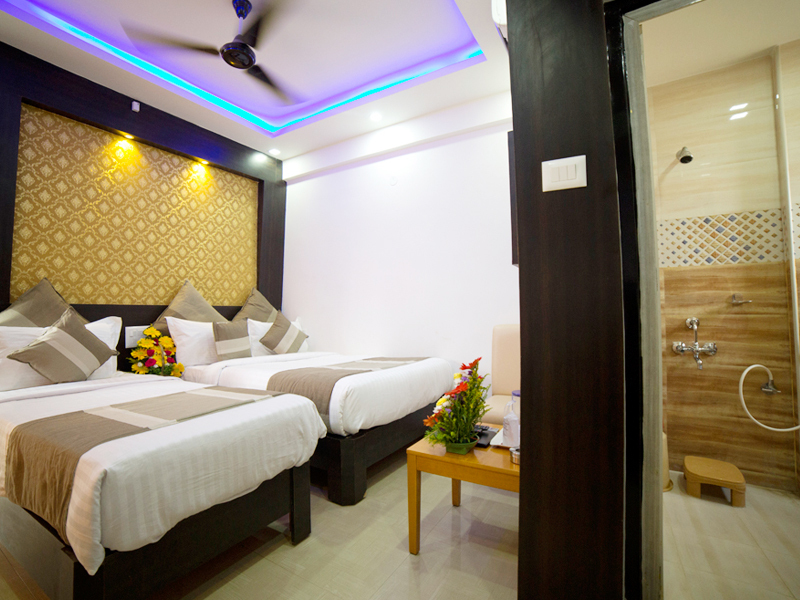 This room offers our guests the perfect amalgamation of traditional hospitality as well as modern amenities. 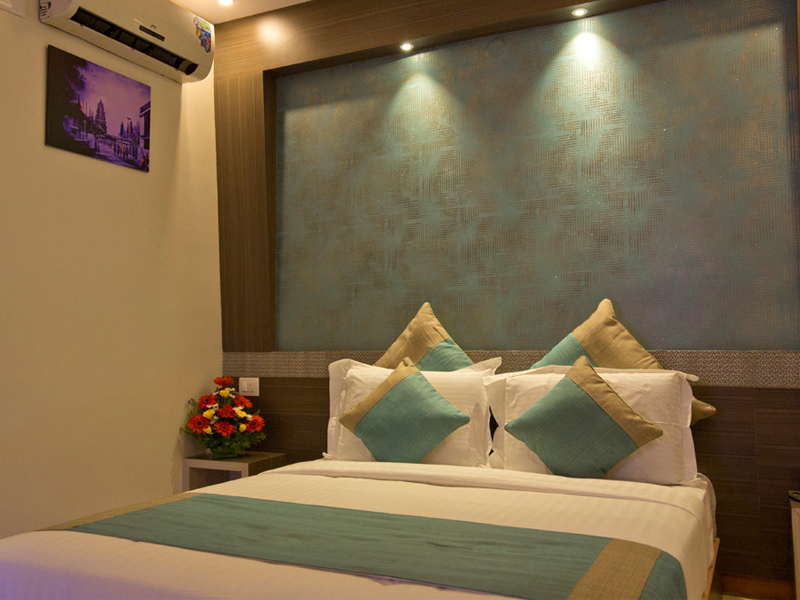 An air conditioned premium quality bed room with a private balcony. Ideal for 5 people and a kid below 5 years of age. 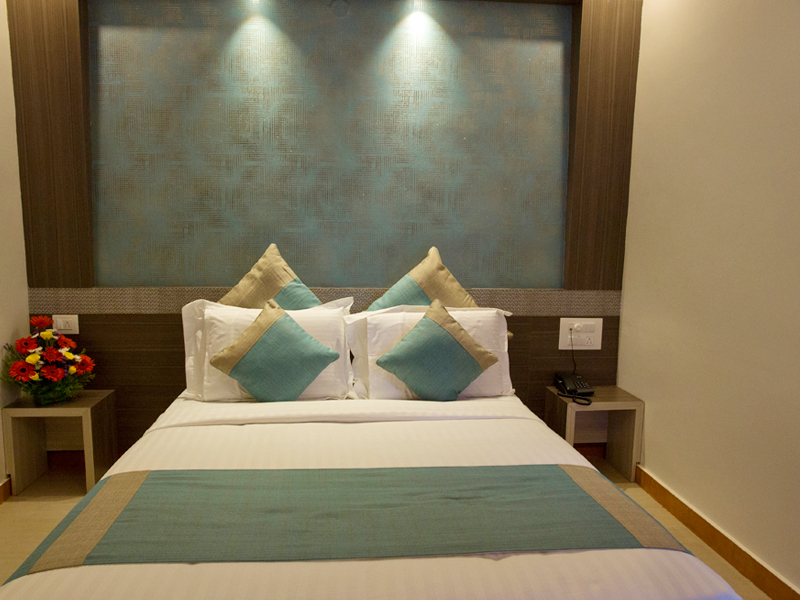 This room offers our guests the perfect amalgamation of traditional hospitality as well as modern amenities. 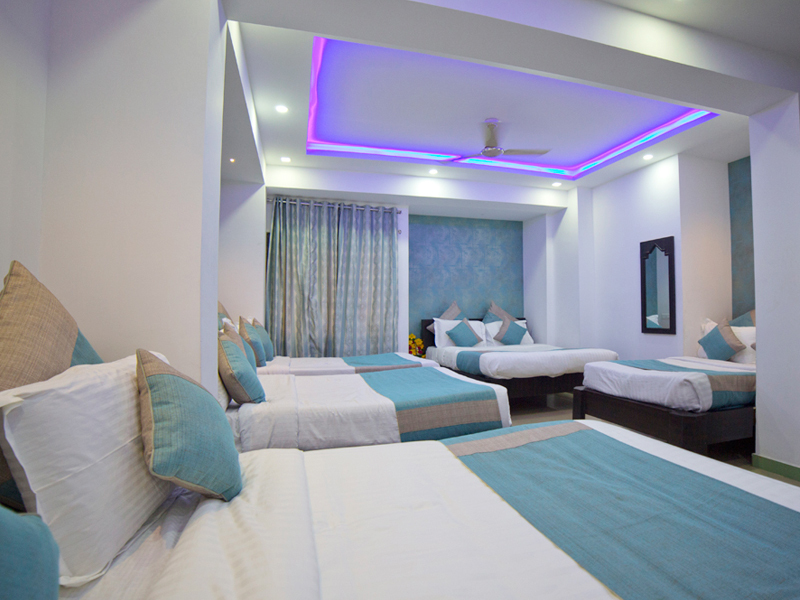 A family bed room with 3 single separate beds Ideal for 3 people. Contemporary facilities offered to our guests include a high speed Wi Fi, LCD television, writing desk, telephone connection and 24 hour room service. 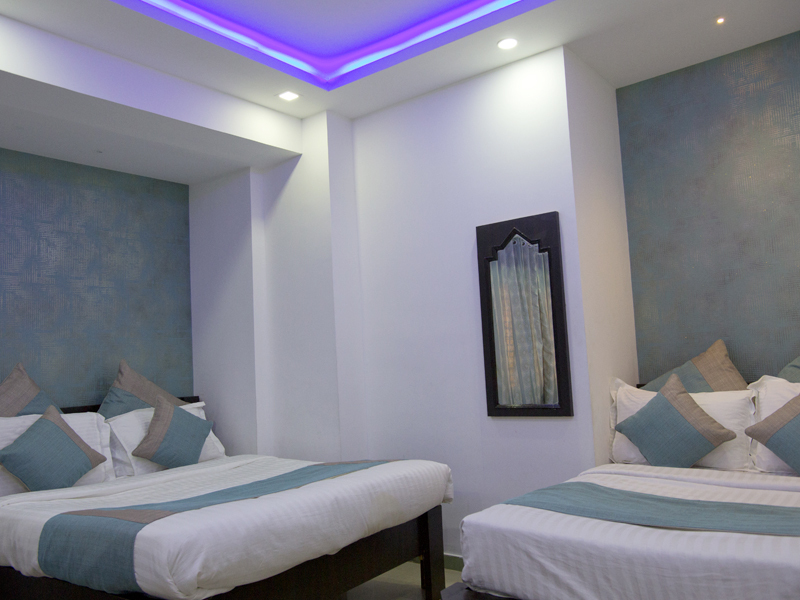 Our guests can also enjoy some exceptional facilities like currency exchange, concierge, single lady traveller room, Wi Fi connectivity, and a travel desk. 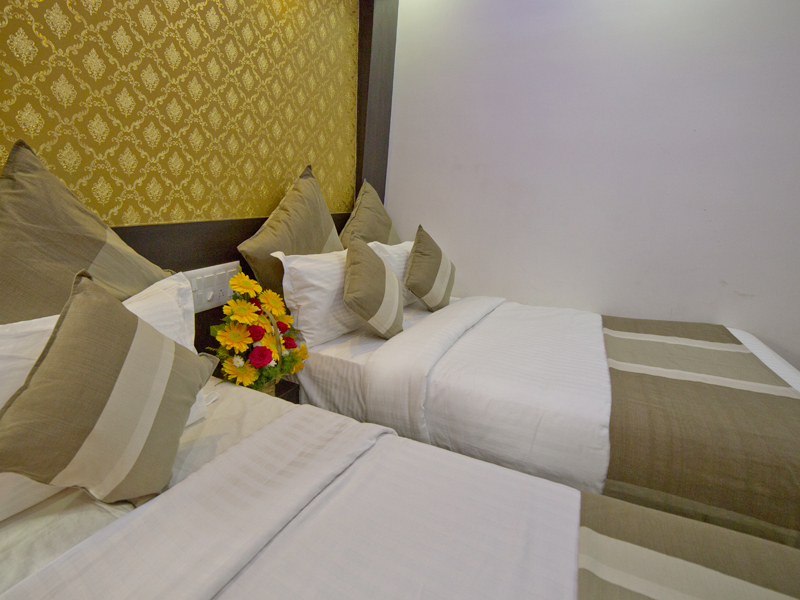 A deluxe air conditioned family bed room with 3 single separate beds Ideal for 3 people. Contemporary facilities offered to our guests include a high speed Wi Fi, LCD television, writing desk, telephone connection and 24 hour room service. 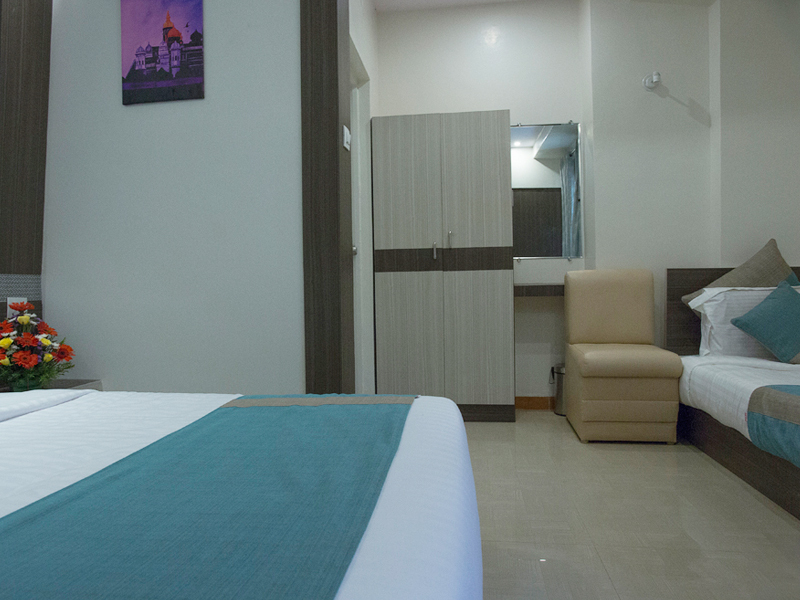 Our guests can also enjoy some exceptional facilities like currency exchange, concierge, single lady traveller room, Wi Fi connectivity, and a travel desk. 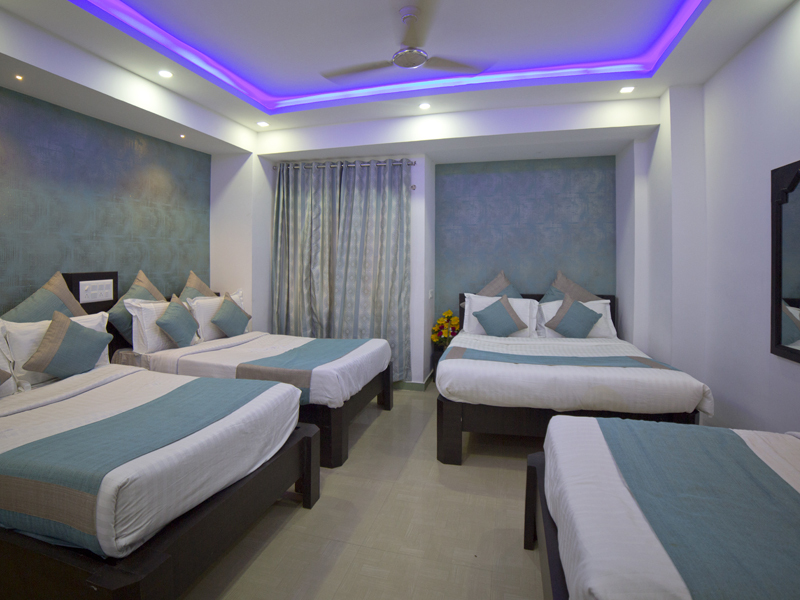 Superior Four Bed Non Ac - A family bed room with 4 single separate beds. Ideal for 4 people. Contemporary facilities offered to our guests include a high speed Wi Fi, LCD television, writing desk, telephone connection and 24 hour room service. 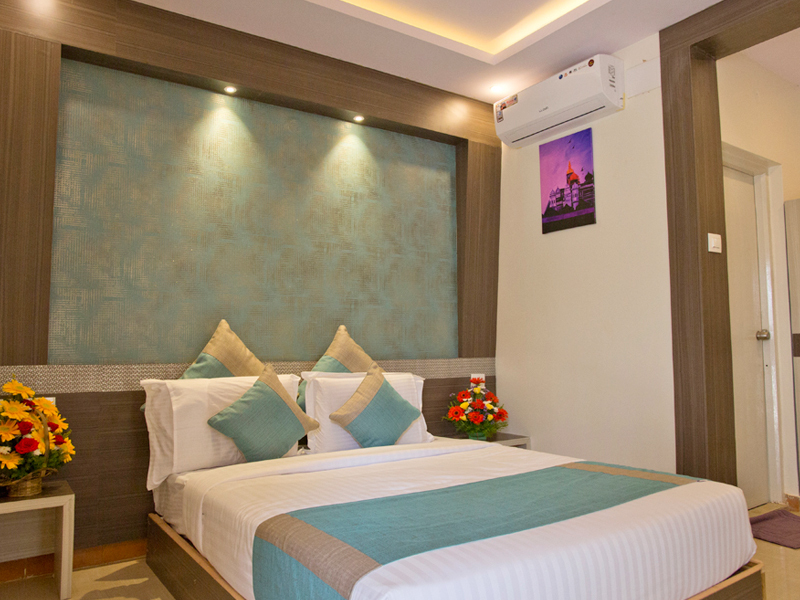 Our guests can also enjoy some exceptional facilities like currency exchange, concierge, single lady traveller room, Wi Fi connectivity, and a travel desk. A Superior quality room which offers a traditional style setting in a comfortable living space for a family/ group. 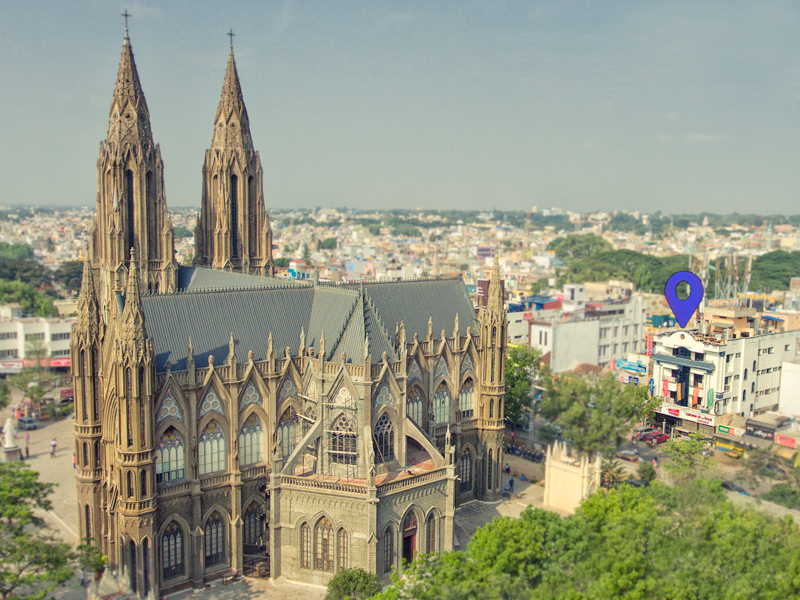 Relax in a multi bed accommodation along with your family and enjoy the historic surroundings. Ideal for 8 - 10 people and a kid below 5 years of age. 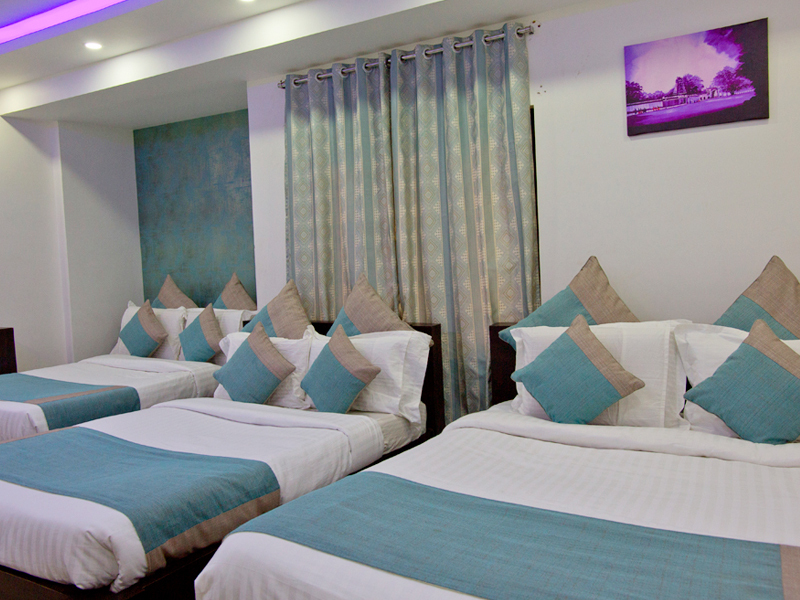 A premium quality bed room which offers a traditional style setting in a comfortable space for a family/ group. Cozy up in one of the ten beds and enjoy the simple décor with clean earth tones as you take in the beautiful views of the St. Philomena’s church. Non A/C Standard and deluxe rooms. Full-size pillow-top bed draped with lavish quilts. LCD television with major satellite channels. World wide Direct Dialing system. Travel Assistance and Sightseeing Booking. 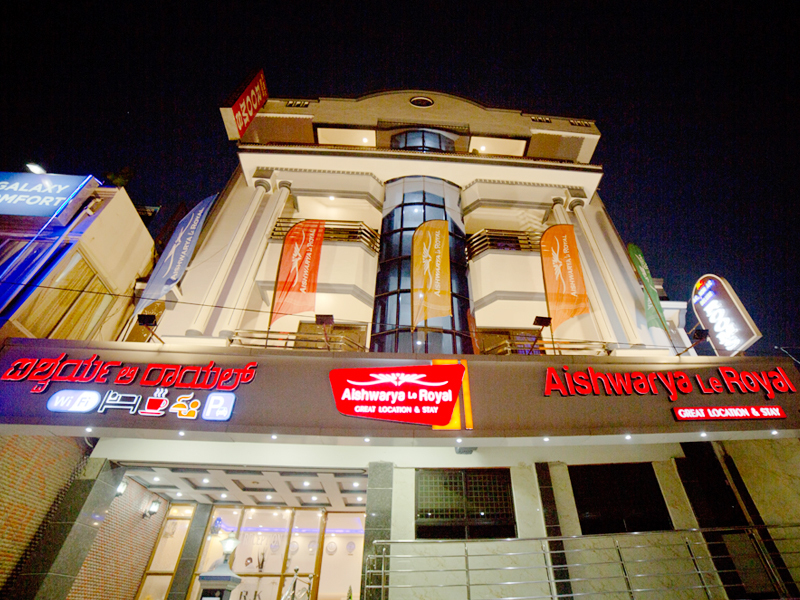 Aishwarya Le Royal - The most economical hotel in Mysore.